DALLAS, Nov 5, 2011/ FW/ — Great things can come in small packages! This holiday season surprise your significant other with diamond jewelry! Celebrate your engagement, your anniversary or even if it’s a “just because” commemoration, a diamond ring, bracelet, earrings or necklace are all welcome under the tree. If you are unsure what your love one wants, then go for loose stones. This way, the giftee can choose what setting they want, or even choose what jewelry they want. 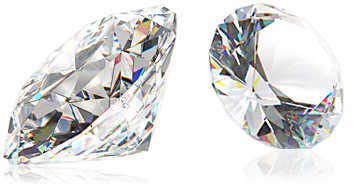 And, if you don’t have time to go to the jewelry store, don’t worry, you can shop at Brilliance.com for loose diamonds. With round, princess, asscher, radiant, cushion, emerald, marquise, oval, pear or heart-shaped, Brilliance offers a wide variety of loose online diamonds.